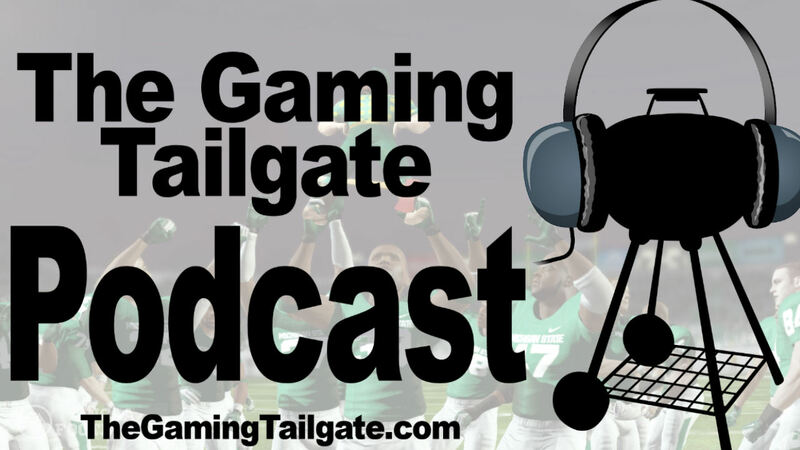 In this edition of The Gaming Tailgate podcast, cdj, gschwendt, and JBHuskers discuss the recently released NCAA Football 13 demo and also recap E3 2012. ...the Nelson Muntz imitation was weak. Kirk and whats his face. The people who talk in the game. Steve... What are you saying? You don't even know who the other announcer is!?!?!? Nessler has been in the game for so many years now. And NORMALLY the analysis would fit but we pick plays so fast that we're to the next play in a blur. The analyzing (not analysising as you so eloquently put it) is good. There even needs to be MORE! Steve... What are you saying? You don't even know who the other announcer is!?!?!? Nessler has been in the game for so many years now. ! I have a question for you guys. Do you guys feel that, in a few years, we could see the sporting genre fail to succeed and ultimately meet it's demise? Fifa seems to be one of the few series that may stick around for a very long time since it is a worldwide sports game. I ask this question because I am curious to hear the thoughts of everyone, and y'all pointed out how at E3, most people in that crowd seemed to not be interested in the sports games really. It seems that our society is being driven towards playing games that pull us in via the stories or causing us to feel an emotional attachment to the characters within the game. Obviously, people still play games for the fun and excitement, but it just seems more favored in the area of having that sense meaning to a character or story. Maybe I should make this question it's own thread? I felt it was somewhat relevant given the mentioning of people at E3 being less interested in sports than other games. I think it's more the fact that there really isn't a wow factor with sports titles at a stage like E3. There are plenty of sports titles that sell well. The E3 crowd just isn't the right crowd for them. Well, do you think that in time the E3 crowd could take over primarily, and make most of the sports games obsolete? I know Madden and Fifa are two of the greatest selling gaming series of all time, but besides those two, do you think most, if not all, other sports games could disappear due to lack of popularity? I think if sports games ever disappeared, it'd be due to lack of innovation and/or nothing new to add. When I think of MLB: The Show, I really couldn't tell you much of what has changed in the last few years. It's a great game but between being bored of it easily and the fact that 09 has most of what 12 has, why buy it? Obviously that's just my personal take but I can see sports games getting to the point and saying, so what CAN we add next. As long as humans are reproducing, there will always be a market for sports and their games. Old fans die and new fans are born. I agree. Seems to me better A.I. that provides more realism instead of cheesy difficulty is the only place to go. I think the only thing that could kill off the sports gaming market would be unsustainable licensing costs. Which with the way things are going with the professional and college leagues wanting more and more money, could become true down the road. sports has a defined criteria that all sports fans understand. There isnt anything that needs to be added each and every time. It just needs to be close to what actually happens in said sport.